The last 50 years have seen sweeping changes in technology, international travel, communication, and culture that have profoundly impacted how American Christians and their local congregations and parishes engage in God’s mission. In the decades leading up to the 1960s, denominational and mission agency executives conceptualized mission, assessed and prioritized needs, and made most of the decisions in the allocation of personnel and funds, which represented the primary participation in God’s mission of millions of U.S. Christians. Today, nearly two million American Christians annually engage in short-term mission trips and the vast majority of mission decisions are made by congregational mission leaders—mission pastors and directors, mission committee chairs and members, youth pastors and leaders, women’s organization leaders, volunteers, and all those who work to engage a local congregation in God’s mission, both local and global. 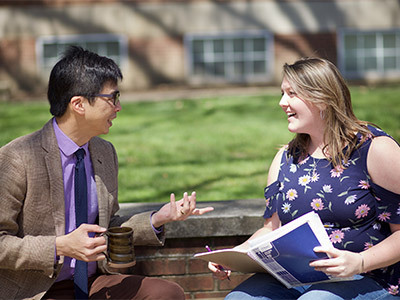 To provide academic and experiential training, mentoring, and skills in networking, the Seminary offers the Graduate Certificate in Missional Leadership, equipping students to engage their contexts more faithfully and effectively in God’s mission. The Certificate in Missional Leadership is ideal for persons leading churches and non-profit organizations involved in mission work. Students receive broad preparation in evangelism and are therefore equipped for international missions. Whether you already have a master’s degree or you’re new to seminary, the Graduate Certificate in Ministry is a great way to expand your theological education. Women and men take seminary classes in contextual analysis and missional leadership plus two electives. Additionally, students must complete a missional leadership project and participate in a missional leadership cohort. Missional leader coaches will also meet with students throughout the program. Projects might include leading a short-term mission trip, a process of change in congregational mission structures, and an evaluative process in congregational mission work, or preparing and teaching a mission education curriculum for example. Taking two seminary classes per semester, the certificate can be completed in one year. Students may also elect to take one course per semester and complete the program in two years. For those taking evening courses, the Missional Leadership program can be completed over two academic years. This flexible certificate program easily fits students’ busy schedules. Missional Leadership certificate grads may elect to later complete the Seminary’s Master of Divinity or Master of Arts in Pastoral Studies degree program. Students interested in this certificate program must complete Pittsburgh Theological Seminary’s standard application for admission process and must have an undergraduate degree.